Most people make an online purchase every now and then! Why not earn bonus SkyMiles at the same time? Delta has its own online shopping portal: SkyMiles Shopping. It's free to join and use. All you have to do is sign up with your SkyMiles account number (register here if you don't have an account yet). Click the "Stores" tabs to search for brands by alphabetical order or by earn rate. If you have a particular store in mind, use the "Store quick find" tool (or the search bar in the top right-hand corner when logged in). Note that stores and mileage award rates are subject to change. 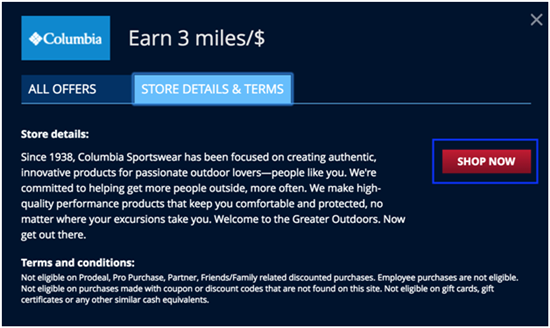 Step 1: Go to "Stores" to see the bonus miles offered for each store. Stores give you anywhere from 1-30 miles per dollar spent (excluding shipping costs). Popular stores like Apple, Bed Bath & Beyond, Home Depot, Staples and Walmart are usually priced at only 1 mile per dollar spent. At time of writing, the most attractive fixed-earn offers are FTD.com, Personal Creations, and Shari's Berries, which all yield 20-30 miles per dollar spent. Step 2: Upon clicking on an offer, a window will pop up. You'll want to pay attention to the store details and terms, as offers are subject to change. Often, you'll find highlighted expiration dates to make things easier. If you happen to see an attractive deal - jump on it ASAP! Likewise, always read the fine print to see if the store allows you to buy gift cards or not. Step 3: All that's left is to hit the "shop now" button to be redirected to the store's site. Make sure to always use the links within the platform to earn your rewards. If you go directly to the website to make your purchase, you won't get any credit. On a mission to earn as many miles as possible? The SkyMiles Shopping portal often has special deals. Click "All Online Offers." From there, you can sort through the deals according to expiry date, highest earn rate, newest, etc. Search by earn rate. Filter by earn rate to see which stores are offering the most bonus miles per dollar. Deal of the week. Every week, there's a deal from a particular store that has special discounts or is offering more miles than usual. Offers in the top bar. 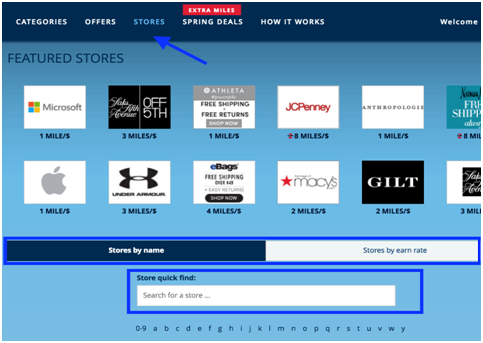 You'll see seasonal, time-sensitive sales and promotions, such as Spring Deals or Holiday deals during holiday time. Free shipping. 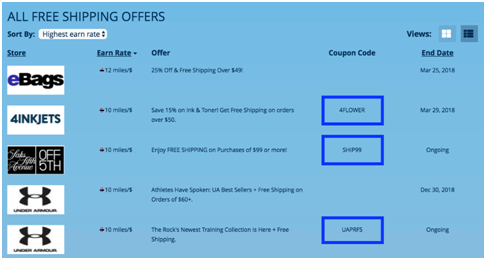 You can find free shipping deals by clicking the "Offers" button. Some have a coupon code listed you must input to get the deal, so take note of this. Luxury deals. This is where you'll find deals from luxury brands. The most attractive offers tend to be released around a major holiday. 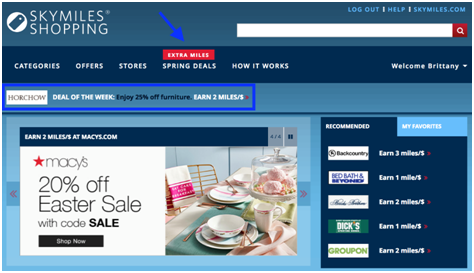 After joining, keep an eye out for emails from Delta SkyMiles Shopping to be the first to know about flash sales. You may also want to check the portal regularly, as certain deals may not be advertised elsewhere. Tip: If you are not sure you are getting the best deal, do a quick search on the store's website to make sure it's the same price, and check Cashback Monitor or evreward.com (helpful sites that allow you to compare rewards and credit card programs). Make sure your cookies are enabled. Only use coupon codes from SkyMiles shopping (not external coupon codes, as you won't earn miles). Always make your purchase directly from the portal and within the same session, i.e., don't click out to another site. Click here to read the program's frequently asked questions. When Do the Miles Post? Once you make your first official purchase, your miles earned will usually post to your SkyMiles account within 3-5 business days. You should also receive an email confirmation receipt stating the number of miles you've earned for each purchase. You can track your transactions and store visits by clicking the "My Account" button. Should you happen to return an item, you lose the bonus miles. Returns should be done as soon as possible in order for your bonus miles to be recalibrated into your SkyMiles account. Wait for this to happen before booking any reward flights. If, for some reason, an order doesn't post to your account within 45 days (but no more within 180 days), contact SkyMiles Shopping directly. We recommend saving all emails related to your purchases so you can use them as documentation in case the rewards never end up being posted. The real secret to multiplying SkyMiles is by using the right credit card. 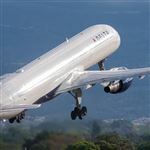 You can use a Delta credit card, which gives you SkyMiles for every $ spent. Or AMEX credit cards, which will allow you to transfer Membership Rewards points to SkyMiles at a 1:1 ratio. This way, you get miles for the credit card purchase AND bonus miles for using the shopping portal. The SkyMiles Shopping portal is an easy, excellent way to boost your Delta miles. Even if it takes you a while to accumulate points, you don't have to worry because SkyMiles never expire. It's also great if you've been racking up miles via other methods. When you find yourself a few hundred miles short of a ticket to your dream destination, use SkyMiles Shopping to reach the amount needed. 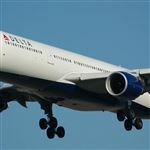 Share on Facebook "Delta SkyMiles Shopping: What You Need to Know"